Now you can grow longer, fuller, darker lashes. It’s not an illusion. It’s your own eylashes – only better. LATISSE™ is FDA approved and effective. It’s a once-a-day treatment you apply topically to the base of your upper eyelashes. 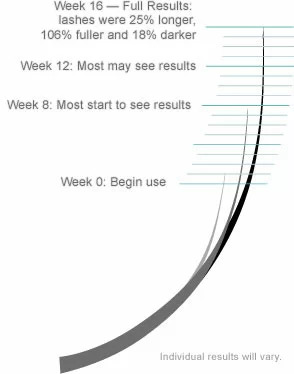 Patients in a clinical trial saw results in as few as 8 weeks with full results after 12 to 16 weeks. While LATISSE™ is a new treatment for inadequate or not enough eyelashes, it was developed through years of research by Allergan, a pharmaceutical leader with over 60 years of expertise in prescription eye care products. Contact our office and schedule an appointment to see if Latisse™ is right for you.